Every year, the Victoria’s Secret show brings its famous bejewelled Angels together for what is consistently a glittery catwalk extravaganza. It’s the most-watched fashion event of the year (800 million tune in annually) with around $12 million (about £9.2 million) spent on putting the spectacle together – a huge figure considering most catwalk shows cost an estimated $1million (about £700,000). 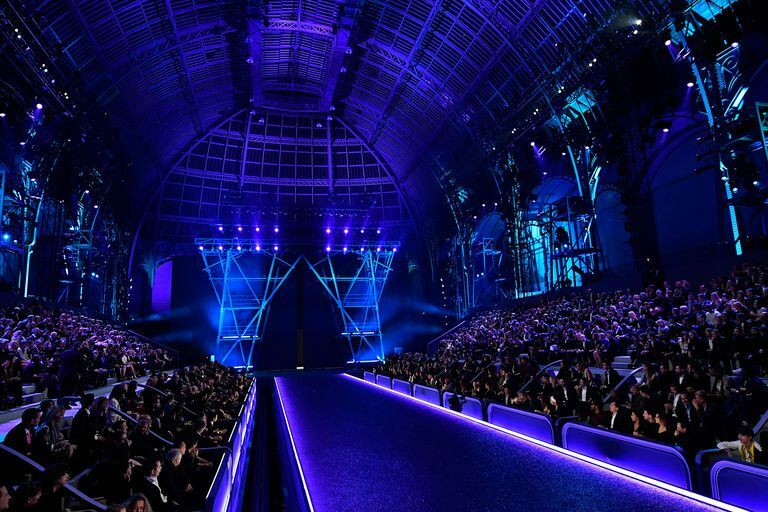 The location of the Victoria’s Secret show changes frequently; it’s previously been held everywhere from London and Paris to Miami, LA and New York. Last year’s took place in Shanghai. The brand has steadily been building presence in mainland China, with a total of 26 stores across the country, so it made commercial sense to take the Angels there. While this year’s location has yet to be announced, it’s likely to be a key market for the lingerie label. A date for this year’s show has yet to be confirmed (and presumably won’t be until the location is announced), but it generally takes place towards the end of November or beginning of December every year. It’s then broadcast on TV and online a few days later. Last year, the brand collaborated with Balmain on some one-off looks for the show, marking the first time that VS had teamed up with a high-fashion brand to produce pieces that will actually be made for retail. When an Angel is chosen to wear said bra, then it means she’s a big deal – previous names to bestowed with the accolade include Jasmine Tookes, Lily Aldridge, Adriana Lima and Alessandra Ambrosio. Last year, Lais Ribeiro was the lucky girl – and was more than a little excited about being chosen. Every year the models are joined by some of the biggest names in music, who provide the soundtrack to each section of the show. Last year’s acts to hit the catwalk in Shanghai were former One Directioner Harry Styles, Grammy winner Miguel, Hamilton alum Leslie Odom Jr. and Chinese pop sensation Jane Zhang. The models will then take to Instagram to express their delight at being selected for this year’s show. The show generally features a mix of seasoned Angels (Alessandra Ambrosio, Lily Aldridge, Candice Swanepoel); high-profile names (Kendall Jenner, Karlie Kloss, Bella and Gigi Hadid); and a fortunate batch of newcomers or lesser-known faces. This year you can probably expect regular Angels such as Alessandra Ambrosio, Adriana Lima, Candice Swanepoel, Martha Hunt, Stella Maxwell, Lais Ribeiro, Taylor Hill and Cindy Bruna. We might also have the return of Behati Prinsloo, who skipped the last two shows due to pregnancies.